Behind The Thrills | Legoland Florida offers Florida Resident hotel rates, and official currency exchange! Legoland Florida offers Florida Resident hotel rates, and official currency exchange! Legoland Florida offers Florida Resident hotel rates, and official currency exchange! It’s been an amazing year at Legoland Florida, and it’s not over yet. The park has officially become a resort, with the addition of the Legoland Florida Hotel, and added a whole new land with Lego Friends Heartlake City. Now comes a huge deal for Florida Residents at the Legoland Hotel. If that wasn’t enough, guests going to the Legoland Hotel can officially exchange their money for Legoland Florida bucks at one of the world’s leading independent foreign exchange business. First, beginning September 1st, and running through December 17th, Florida Residents can save up to 35% on mid-week stays at the Legoland Florida Hotel. The Legoland Florida Hotel opened this Summer and is literally steps away from Legoland Florida. 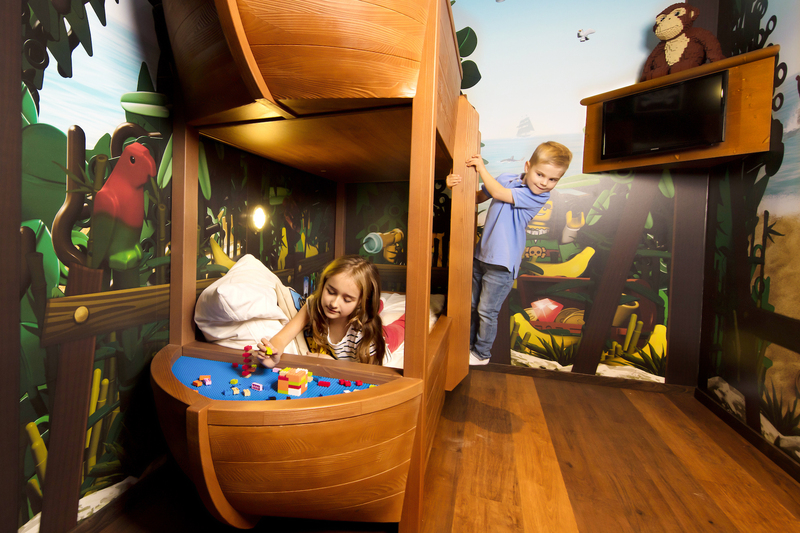 It features several uniquely themed rooms, as well as amazing play areas and nightly entertainment. if that wasn’t enough, guests can now go to Travelex and exchange US Dollars for Legoland Dollars. It’s perfect for families planning a vacation, and wanting to have more fun. Legoland Dollars are now listed on Travelex’s currency exchange boards at 55 participating Travelex locations, making it the first theme park to have an official currency listed on a currency exchange board. The LEGOLAND Dollarwill be available for purchase at a 1:1 exchange rate to the US Dollar, with a minimum exchange of $5 USD. 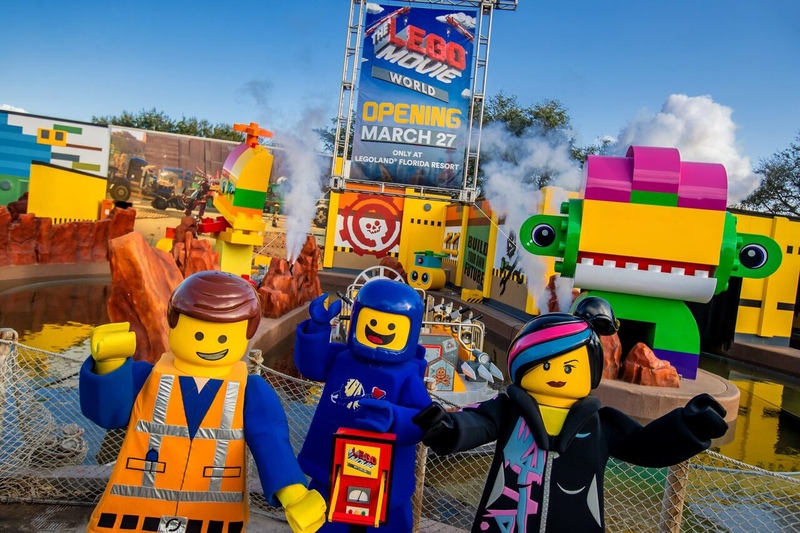 With a $50 USD purchase, guests will receive $50 in LEGOLAND Dollars, plus an additional $39.25 in added value, including free parking, an upgrade to the LEGOLAND Water Park and an order of the resort’s famous Granny’s Apple Fries. 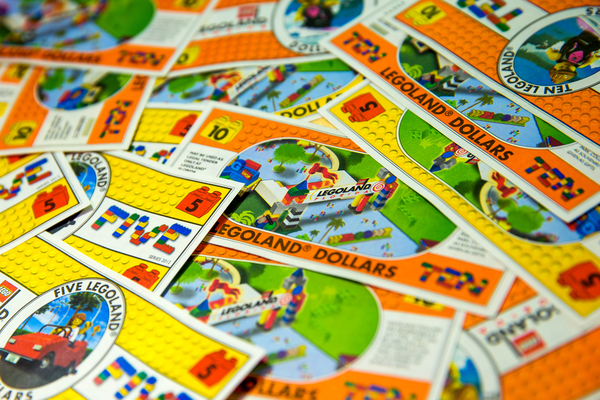 LEGOLAND Dollars can be spent at any of the park’s restaurants, concessions, retail stores and more. Stay tuned for more from Legoland Florida, and be sure to get social with us on Facebook, and follow along with us on Twitter @BehindThrills for the latest updates!